Sawako Utsumi is a modern artist from Japan who adores the richness of European and Japanese art. At the same time, this exquisite artist also adores painting landscapes of the natural beauty of the High Peak in Derbyshire, the richness of Christian churches that dot the landscape of this part of England and fusing ideas from her Buddhist and Shinto background. On top of this, the legacy of artists including Pieter Brueghel, L.S. Lowry, Sakai Hoitsu, Yuzo Saeki, Kamisaka Sekka, Yokoyama Taikan, J.M.W. Turner, Maurice Utrillo and Esaias van de Velde appeal greatly – along with other artists. 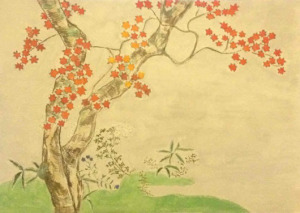 Therefore, Utsumi is always looking for new angles irrespective if original landscapes and themes – or if paying tributes to artists that she adores but from individual color schemes and unique angles. In this article, the main focus is Utsumi expressing her artistic admiration towards Hoitsu and Taikan. 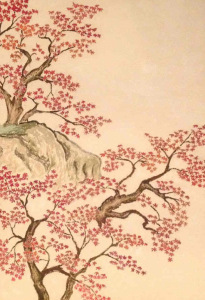 These two Japanese artists are extremely different because Hoitsu was born in the middle of the eighteenth century, whereas Taikan (1868-1958) belongs to twentieth-century art. At the same time, the artistic, historical, religious and political world that impacted on both artists is a million miles apart. Despite this, Utsumi isn’t restrained by time and different approaches to art. 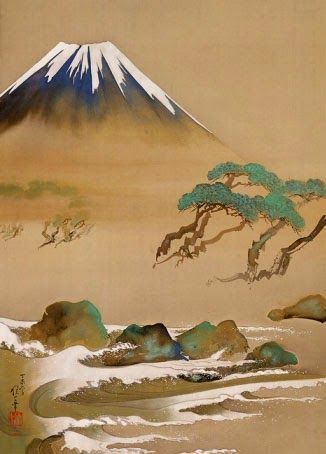 This reality works a treat and the same applies to fusing the richness of her individual internal creativity, with the natural beauty of past European and Japanese artists. The upshot of this reality shines through the art of Utsumi. Taikan witnessed many momentous political and social changes throughout his lifetime. 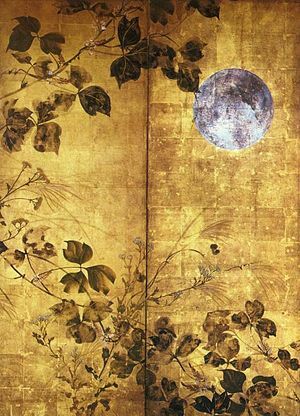 In contrast, Hoitsu belongs solely to the Edo Period. Given this reality, Taikan fully understood the chaotic nature of life and the ongoing changes taking place within the artistic movement in Japan. 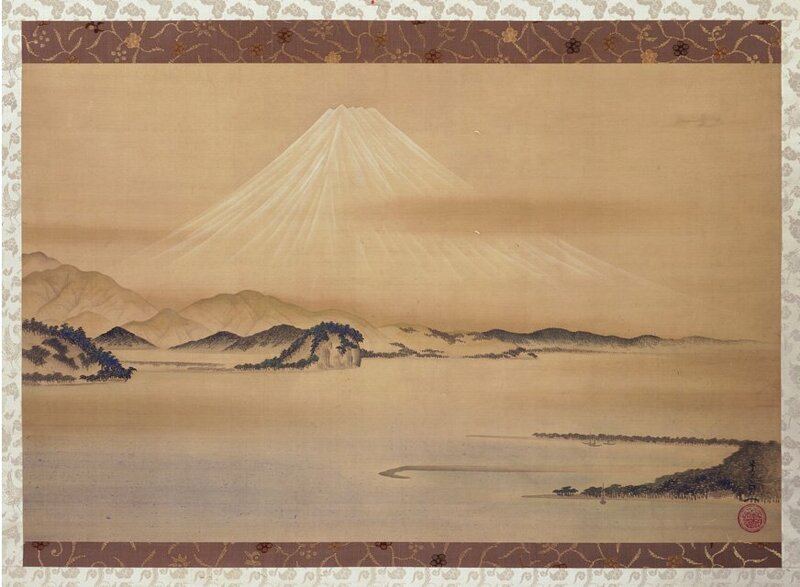 Hoitsu, on the other hand, turned the clock back because he admired Ogata Korin (1658-1716) greatly. Therefore, continuity and a more sedate art world appealed to Hoitsu. 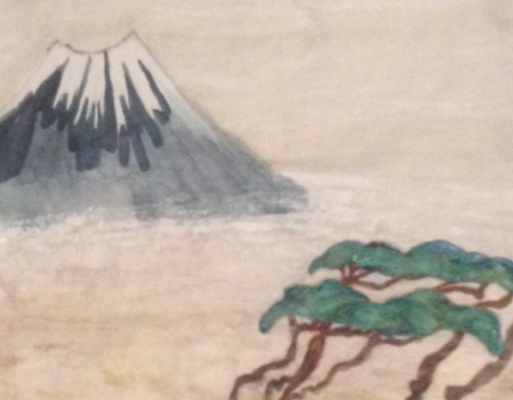 In the art pieces by Utsumi titled “Modern Reflection of Sakai Hoitsu” and “New Japanese Artistic Cloud of Yokoyama Taikan” in this article, it is clear that she is trying to bridge the gap of time and place. Similarly, Utsumi who is paying homage to Hoitsu and Taikan is highlighting the power of rinpa (rimpa) art within these art pieces. 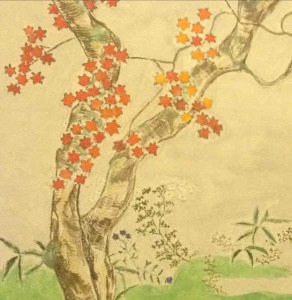 Yet, true to the nature of Utsumi, this modern Japanese artist is doing this from a unique angle that transgresses the real virtue of rinpa art. 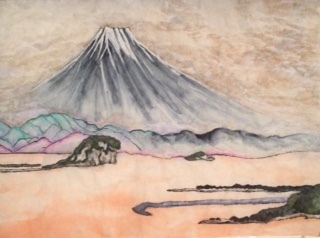 Intriguingly, in the art piece titled “New Japanese Artistic Cloud of Yokoyama Taikan,” it is abundantly clear that Utsumi is creating a very different outcome from the original art piece by Taikan. 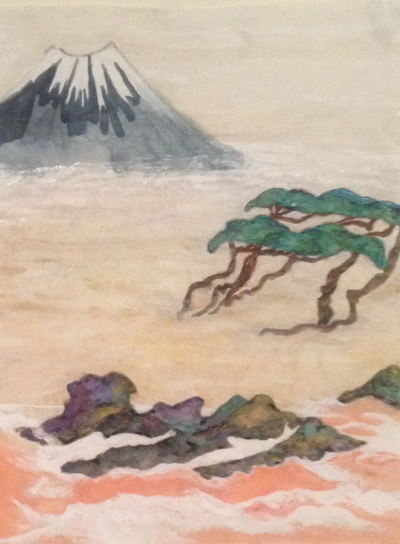 However, “Modern Reflection of Sakai Hoitsu” is based on continuity. Therefore, it is apparent that Utsumi is playing on the reality of their respective artistic and historical times within Japanese history.